Earlier this month, Apple shares slid by 10% and many insiders ascribed this weak performance to the lack of innovation in its latest products. Brunello Cucinelli shares dramatically dipped following its 2018 report that saw a revenues increase of +8.1% – something considered too low and slow by analysts. It is certain that investors are eager for quick, phenomenal results. It is also clear that innovation is not an automatic process leading to stunning revenues. Innovation is expected to be the driver for unlimited growth at the fastest pace. But at the same time, this is also the best way to rapidly burn down a Brand and a company, if badly managed – because innovation is expected to kill and bury products, styles, entire brand stories and to repeatedly reproduce new items. But can innovation itself be the major growth factor? Is a never-ending disruption the best way to keep the pace in a very competitive market? On the contrary, there are superlative, cool brands that made their own story and DNA the key success factor. Cool brands that relied more on their heritage than disruption. Fendi is one of them. Founded in Rome in 1925, it went through different stages of its own style but it always consistently developed the Brand around its own heritage: Creativity, craftmanship and glamour. The Fendi sisters hired Karl Lagerfeld well before Chanel ever did. They grew a shop into a brand fully immersed in the Roman atmosphere and lifestyle. They dressed and accessorized the likes of Federico Fellini and his wife Giulietta Masina as well as Sophia Loren, Catherine Deneuve and most recently Sienna Miller, Sharon Stone, Jennifer Lopez, Rihanna. Their double F logo was featured on travel luggages as well as on very cool clothes worn by Nicki Minaj. In 2017, they also launched a collection with Fila, the re-born sportswear brand. The double F is a staple that was designed several decades ago. 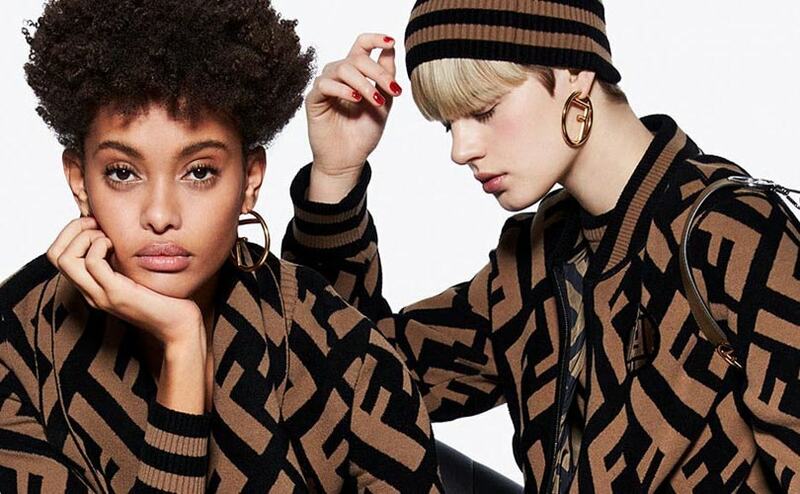 And Fendi is still capitalizing on it thanks to new interpretations and new products but with the same respect and love – from the “Fendi Fur” concept developed in 1965 by a young and hyper talented designer named Karl Lagerfeld, to its most recent interpretation of “Fendi Fun”. In 2006 the brand launched the first of several amazing collaborations with other brands, including a duvet Spy Bag with Moncler – when Moncler was not yet the global powerhouse it is now. Remo Ruffini recently revealed that while managing Moncler through its relaunch, he was very clear on the mistake that took place in the ’80s when the Moncler down jacket phenomenon fizzled out and the brand’s popularity waned. Ruffini managed the legendary brand’s revamp with a long term and clear vision. It made its core down jacket business the key asset, with focus on brand heritage. What took place next was an organic and well developed evolution of an outstanding brand that didn’t need a creative director under the spotlight to develop exciting collections. Moncler’s success formula comprised of putting the brand, as well as its history and heritage, first. And it worked so very well. Founded in 1952 in a small French village, Moncler down jackets became an icon during the ’80s when designer Chantal Thomass worked on some collaborations with the brand. Acquired by Remo Ruffini in 2003 and quoted at the Stock Exchange ten years later, the brand saw a revenue of 1.1 billion euros in 2017. In this case, Moncler became a long term fashion icon without any radical and jarring disruption in the form of new-fangled innovations. It simply focused on its heritage and developed it well. While heritage is usually perceived to be something retro or vintage, and covered in tradition and dust, Moncler showed that there are fresh ways to highlight this. Yet another success story is that of Stone Island, a “frozen” brand that kept its heritage and coolness intact over the years. Stone Island was founded by genius Massimo Osti in 1982 in Emilia, Italy. With a heavy stock of innovation in its own DNA and great research and development on fabrics and materials, the company became an icon even outside the Italian borders. Massimo Osti used to say “clothing is too expensive to respond only to aesthetic requisites. It must also be functional and last for practically an eternity”. The first Stone Island collection launched the brand logo and symbol: The compass rose label and a special innovative, bi-color, reversible, stone washed fabric inspired by the canvas covering the trucks. In 1987, they launched the “Ice Jacket” in a fabric changing color depending on the environment temperature. The brand’s glory days saw it conquering the hearts of the coolest people and fashionistas (as well as winning the favor of British hooligans, it seems). Then came oblivion, made worse by the death of Massimo Osti in 2005. The brand was reborn in 2008 and relaunched with its DNA and heritage at the heart of it all. Over the next 10 years, the company more than doubled its turnover from 64 million euros to 146 million euros in 2017. Massimo Osti’s research and development vision has been further developed and it breathed new life into the Brand whose success was also due to cool collaborations with the likes of Supreme and NikeLab. Seeing the future, knowing and benefiting from a glorious past. Yes, we can definitely say that heritage is not dead.